Whether you're a start up business, or whether you've been doing this for years, put your financials in safe hands with our service plans. We provide you with advice when your business needs it, not just when you ask for it. We help you manage every aspect of your business. We are firm supporters of the work that not-for-profit's and charities undertake. At Cleland Hancox Limited we understand the practicalities of these organisations. Our experience in this area enables us to assist you, and work collaboratively with you, to ensure that your organisation meets all reporting requirements (management, statutory and for funding purposes). 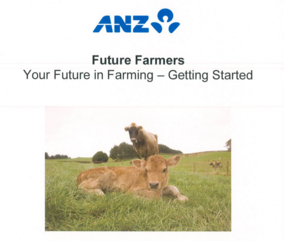 Starting from only $250 a month, we can help with every aspect of managing the financials of your farm or rural business. Farm accounting involves specific business, financial, and taxation issues, and a specialist understanding of the industry. We can relieve you and your staff of the enormous burden of all your bookkeeping and accounting requirements, including payment of accounts payable, payroll processing, monthly reporting and the preparation of your annual accounts, and more. Expert Chartered Accountants based in Hamilton and Morrinsville. We are a progressive practice experienced in all aspects of business formation, management and development. We utilise the latest technology to ensure our clients success and prosperity. Our directors and senior team members are readily accessible to offer you the individual attention you deserve. We are dedicated to providing timely, accurate solutions tailored to suit individual needs. We will work alongside you with the aim of not only solving problems that arise, but helping you reach your financial goals. "The advice, guidance, resources and time provided by Leean, and the staff over the 10 years has been invaluable and this has assisted in the sustainability of True Colours." "We have found that there are huge benefits from outsourcing our accounting needs to Cleland Hancox Limited. This has saved us the cost of a full time salary, plus everything is done once to the highest standard giving us more time to grow our business." "Our accountant is constantly suggesting new directions in which to take our business at the same time as giving us encouraging feedback on our current operation. "In my experience the staff at Cleland Hancox Limited deliver the competence and accuracy you would expect from every accountant, but they go beyond that. They are consistently friendly and approachable."